Surface cleaning and profiling is the first and most critical step in any surface preparation project. The final result from your downstream processes depends on our workmanship in the first place. We take this responsibility very seriously. There’s a reason we are called the best. For more than 30 years, American Dry Stripping and Xtreme Coatings, served as the leader in dry abrasive media blasting company in New England. We serve the Northeast in rust and corrosion removal, coating stripping and surface profiling preparation. Our customers come to us from all over the Northeast and New England, from New Jersey and New York to Massachusetts and Rhode Island. We work with a wide-variety of industrial manufacturers, automotive hobbyists and restoration experts, metalwork designers and artists, architectural restoration experts, and DIYers. Our 10,000 sq. ft. production and storage facility is in Milford, CT. We have eleven professionals with a combined 100 years experience who will manage all your surface cleaning and profiling needs. We are a family-operated business, led by owner Roger Van Brussel and production manager, John Gurrieri, keeps the wheels turning in the shop. We welcome questions or inquiries anytime. Give us a call. 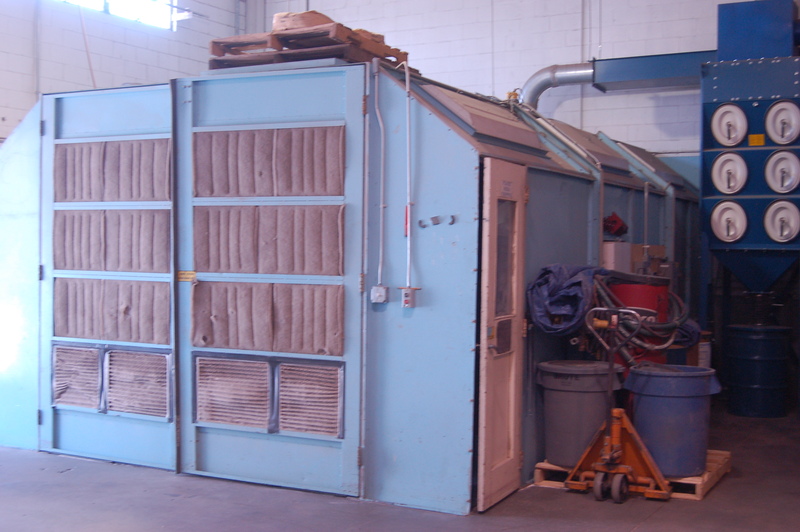 In our expansion we added a large new dedicated automotive blasting booth to accomodate the demands of our customers. We use this booth exclusively to blast rare and vintage cars and parts. These rooms are capable of handling a wide array of large projects including cars, small boats, sailboat masts and heavy industrial equipment, including up to the size of mason dump trucks. Part of our latest expansion, we’ve added an in-house power and ceramic coatings shop to offer blast to finish services for our customers. For smaller automotive, motorcycle and industrial parts, this high-volume booth is instrumental in keeping up with high demand production output. 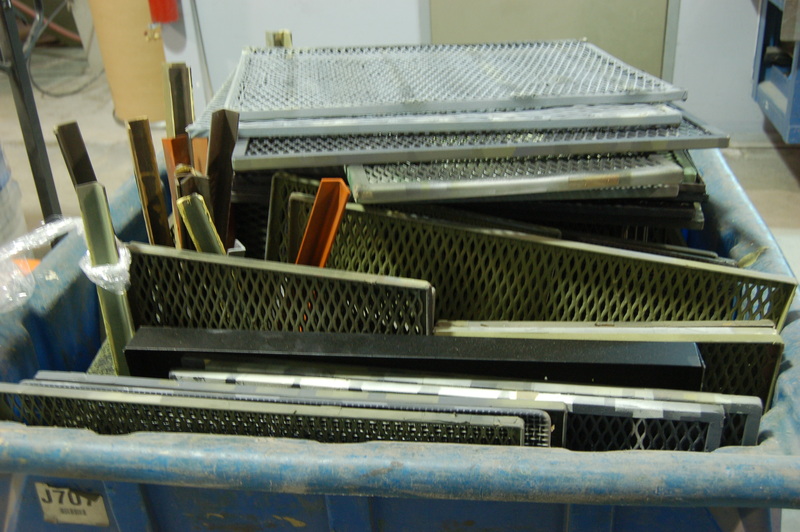 Set up for specific media types, each of our blasting cabinets manages a wide array of small parts jobs and can be configured and scaled-down for small jobs or scaled-up for jobs with tens of thousands of parts. Our vapor blast cabinet offers flexibility of services where specific requirements of finishing and/or cleaning of aerospace equipment, aircraft parts, alloy wheels and industrial applications are needed. Our EPA-approved burn-off oven is an efficient, effective application for many abrasive cleaning projects facilitating and expediting the blasting process. Over time, in an uncontrolled environment, oxidization of exposed metal will occur jeopardizing the integrity of the newly stripped surface. To effectively protect the integrity of your project, American Dry Stripping maintains an air conditioned, humidity controlled “clean room.” Parts are safely stored optimizing surface readiness for surface coating or next-step processes. Got a project or car and no room in the garage?? We offer limited seasonal storage space for your vehicle at reasonable monthly rates. Please contact us for availability and rates. We offer the convenience of pick-up and delivery services (fee-based) from our 24-ft enclosed trailer or super heavy duty Ford E-350 van with protection from exposure to the elements for safely transporting finished cars, sailboat masts….and any other project you need moved. Give us a call or ask us a question. We are here to answer. Was referred to you by Dennis Roy. Project is a motorcycle rim to have powder coated. He stated you are a one stop shop to have it all done with colors to choose from. Hi Al, check your email for info! Thanks for the contact. When you guys say surface profiling what does that mean? I have a set of wheels for my car that have some curb damage, so would that beable to be fixed in in said surface finishing? Hi Seth! If there is dent/damage to the metal, that’s repaired at a body shop. We would be able to re-coat afterward. Surface profiling refers to etching the surface to accepting the coatings. I wanted to polish my alloy rims but its taking to long to get the paint and finish off how much would something like that cost? Hi Jacob, that’s pretty straightforward job. … Check your email for our contact information. I have a 2002 Dodge Dakota Quad cab. It only has 134,000 miles on it and runs great, but the guy I bought it from in 2004 in Baltimore must have drove it into the ocean a bunch of times because it is really really rusty any flaking off. I want to keep the truck and restore it because I do really like it overall and can’t afford new truck (I”m a disabled Vietnam Vet) so a new car isn’t possible. I was hoping iff it could be blasted clean, I have access to the lifts at the Sub Base in New London and can seal it so it stays ok for a while to give me time to save money for another vehicle. I know it’s hard to give an estimate without looking at the vehicle, and I was wondering just what kind of money high and low I might be looking at. And how does it work? Do I drop it off and come back that day or is it longer than that? Also, you don’t use sand correct? I’m concerned about damage to parts and other thing, so you’d know best as to what to use, so I was just wondering. I’d like to get on this as soon as possible because of the weather changing and my back isn’t the best so it’s hard for me to do some of this work. I greatly appreciate any information and help you can offer me, Thank you very much. Hi Victor! Sounds like an interesting project. We don’t use sand anymore, but a variety of media. Check your email for a more detailed reply!